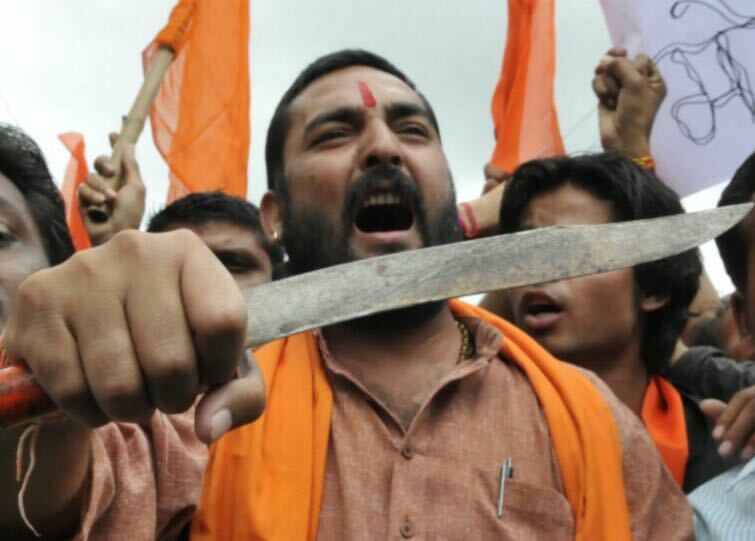 Truth by Kbaig: Two Nations Theory is the Protector from Hindutva! Two Nations Theory is the Protector from Hindutva! There is no doubt that India under the control of English that was disintegrated into parts was economically strong and had strong state machinery. In contrast to this, Pakistan that came into being on the basis of Two Nations Theory consisted of those areas that were most underdeveloped areas of sub-continent. The majority of the population was uneducated. During their reign, English also developed those areas that were already developed as they were the capital of Mughals. After English captured subcontinent from the Mughals, the majority of the Muslims either left these areas or were killed by the English. Hindus were the loyal friends of English. English also left no stone unturned while blessing Hindus. As the Mughals had never expected that their govt. Would end in such a way similarly English had not expected that 2nd World War would make them so much weak that it will be impossible for them to continue their stay in the subcontinent. When English decided to leave India, their will was to leave Hindus as their successors in power. This was the time when Allama Muhammad Iqbal presented the idea of a separate homeland for Muslim. Muslims living with Hindus under the control of English for one and half century had realized that after English, living in India under the control of Hindus would be a hell for Muslims. Quaid-e-Azam Muhammad Ali Jinnah utilized his farsightedness, knowledge and hard work to convert Allama Iqbal’s dream into a reality. On 14th August 1947, when Pakistan came into being there was not a single violent organization of Muslims all over the subcontinent that may be the threat to the followers of other religion. In contrast, Hindu organization Rashtriya Swayam Singh (Rashtriya Sevak Singh) was well organized all over India since 1925. According to Hindu historians on 27 September 1925, when the foundation of the RSS was laid it was decided that organization would run on the paramilitary basis. 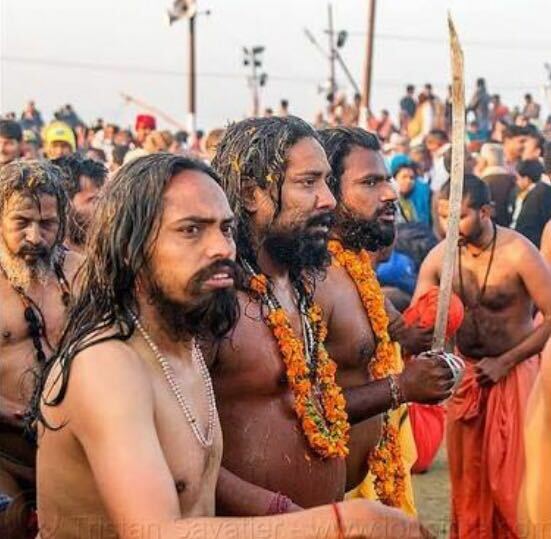 The purpose of the organization was to give Hindus superiority over others. Astonishingly RSS had the full support of British govt. and English establishment in the subcontinent. In contrast to this, if Muslims had any active organizations, their basic goal was never to clash with people of religions. There was not a single Muslim organization whose members were being trained on the military basis. The founder of the RSS was not a purohit or swami of any Hindu temple but a doctor who used to run a clinic in Nagpur. RSS was supported to spread its network all over the subcontinent through weekly training sessions in the educational institutions. It was the result of these training sessions that after partition in 1947, RSS spread all over the Indian govt. Institutions, Police, army and Intelligence agencies. On 30 January 1948, Mahatma Gandhi was murdered by the active member of RSS Nathu Ram in front of security guards, Police and army officials. This was beginning of Hindu Extremism in India. He killed Gandhi for Gandhi’s failure to stop partition of India and not countering the “The Two Nations Theory”. After the independence of India, so-called Secular Congress party ruled India for a long time. The secularism of this party was nothing less than the sweet mixed with poison. 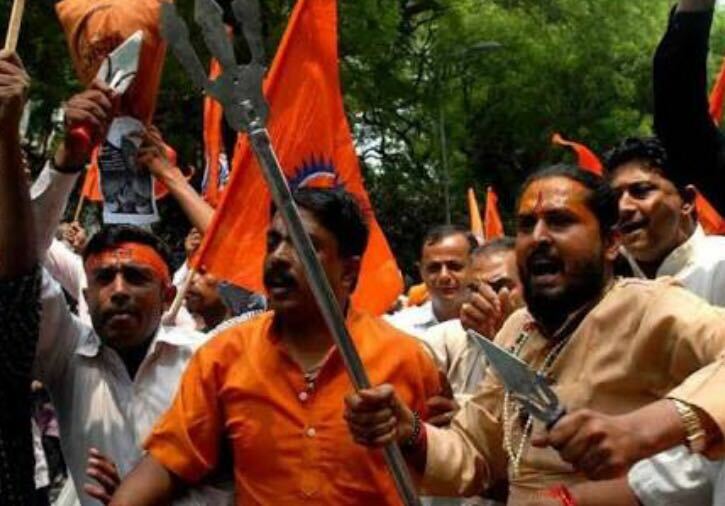 Covertly, Congress also supported cultivating Hindu Extremism across India. 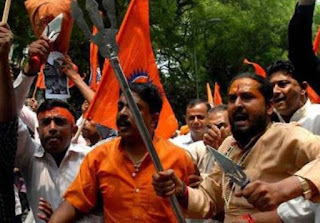 Wherever, Hindu-Muslim riots occurred, ruling Congress Party stopped Police and other security agencies from playing their role, providing the chance to Hindu extremists to destroy Muslim property and their lives. Afterward, weak sections of the law were used, facilitating acquiting of Hindus. Indian judicial system from bottom to the top provides safe side to Hindus for crimes committed against minorities especially Muslim. 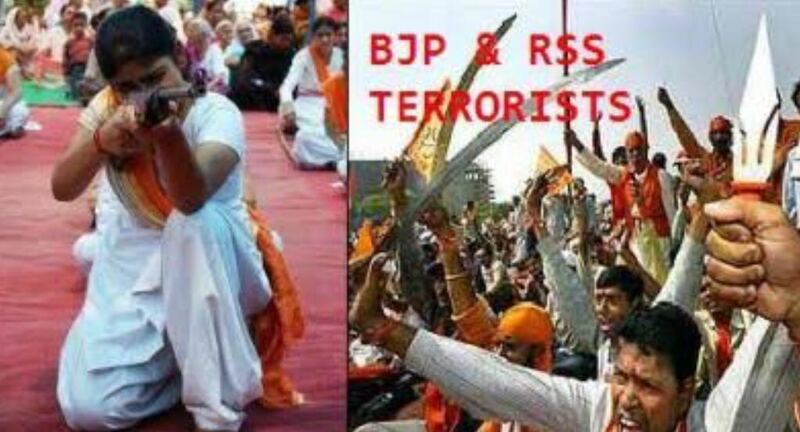 As long as RSS did not step into practical politics through BJP, Congress party to used win elections through votes of Hindu extremists while Muslim also voted for Congress as a secular party. Muslim did not realize that BJP’s Ram Rath Yatra which continued from 25 September to 30 October 1990 was funded by Congress as well. In 1980, when Vishva Hindu Parishad told the fake story of the birth of Ram at the place of Babri Masjid in Ayudhia and announced to construct a Temple demolishing the Masjid, the criticism of this plan by Congress was actually a trap. The success of Rath Yatra resulted in the success of BJP in 1991 elections which paved way for Hindu Extremists into the govt. For this member of RSS serving in Indiathe n army, intelligence agencies, the civil bureaucracy had been working since long. 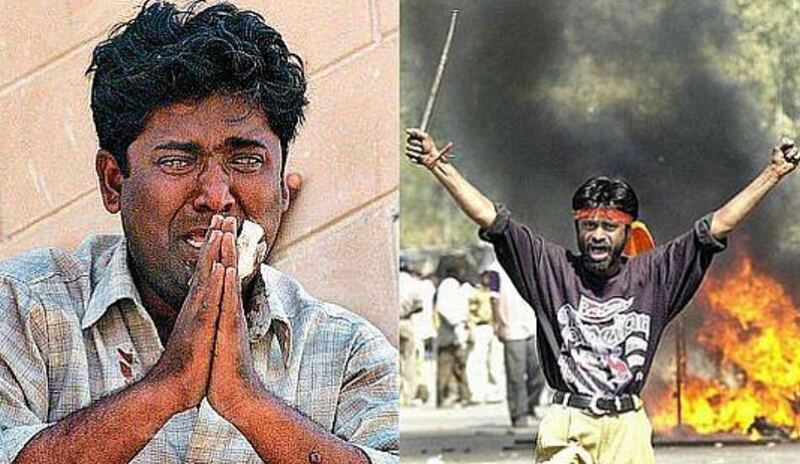 On 6 December 1991, the martyrdom of Babri Masjid, made a clear view of Hindutva politics in the Indian parliament. 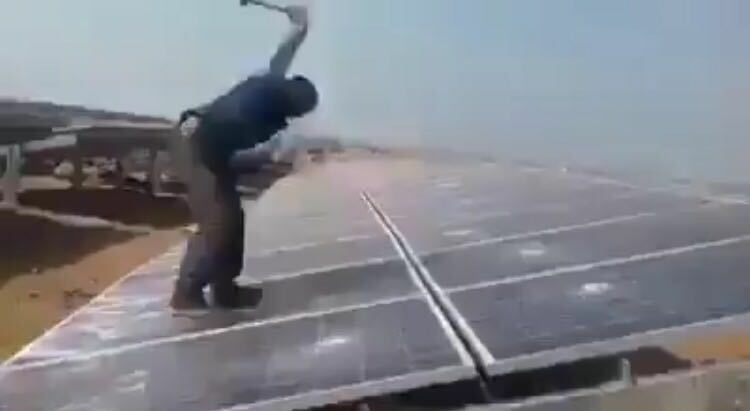 If a member of RSS belonging to Gujarat is instigating people to destroy solar panels and himself breaks solar panels with hammers because according to him the electricity produced by these solar panels capturing the light of Sun are aggravating god Sun; this is nothing astonishing. The video of this attack over solar panels was uploaded to the facebook and twitter by AAM AADMI PARTY which went viral. Those people who kept silent over the torturing of Muslims to death under fake allegations of smuggling cows, eating cow meat etc., atrocities of Hindu army in Indian Held Kashmir, could not keep silent over the increasing Hindu extremism when they saw Hindu extremists breaking their solar panels and protesting against their technology. In order to tackle the protests over social media, Indian govt. Ordered Indian media to come ahead; Indian media rejected the video claiming it to be fake. 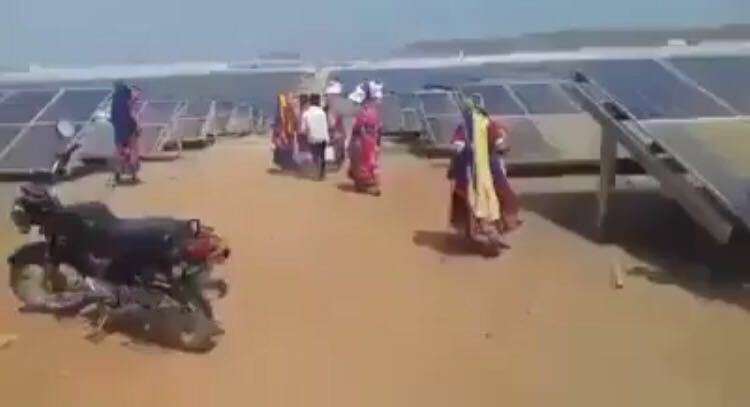 When AAM AADMI Party gave the evidence, Indian media fabricated the story that the mob attacking the solar panels were the employees who have not been paid their salaries. However, the discussion over Indian media has made the pro-Indian elements to realize the Hindu extremism who used to speak against "Two Nations Theory" just to please India.